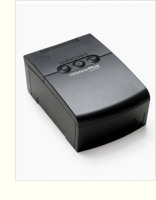 Respironics was the first to bring bi-level therapy to the market, and BiPAP systems continue to be reliable, comfortable choices for Obstructive Sleep Apnea (OSA) patients who have trouble complying with CPAP therapy. 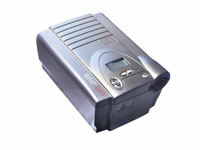 The new BiPAP Plus Bi-level System combines a host of features from our established OSA therapy products. Digital Auto-Trak Sensitivity™ automatically triggers the device to cycle between inspiratory and expiratory pressures based on the patient’s breathing rhythm. Auto-Trak also compensates for any leaks that may occur. The Encore® SmartCard® stores information on system use, therapy and quality of life. The SmartCard can be programmed with the patient’s prescription settings so they are automatically transferred to the device when the card is inserted. Also includes Functional Outcomes of Sleep Questionnaire (FOSQ) so patients can periodically complete the questionnaire, and the data – recorded on the SmartCard – can be used to assess compliance. The new REMstar Plus M Series with C-Flex offers optional integrated humidification, optional Encore Pro SmartCard capability for basic compliance and reporting, lighted controls, an easy-to-read display and the revolutionary comfort of C-Flex. This device redefines the entry-level CPAP market.